These two ladies are a true force of nature! 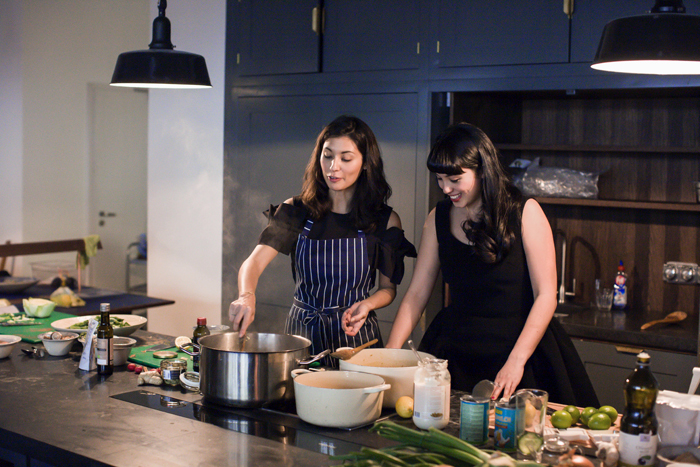 If you ever have the chance to be in a room together with the charmingly gorgeous Jasmine and Melissa Hemsley, prepare yourself for a wave of energy. 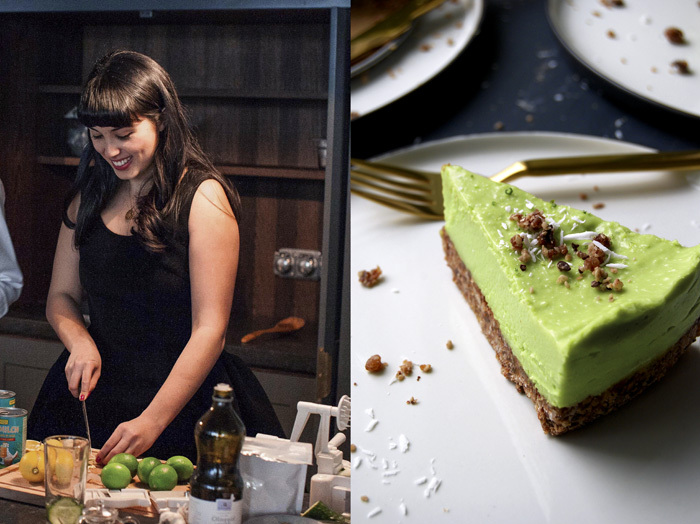 I met the two sisters at one of their delicious workshops at The Store Kitchen at Soho House in Berlin and I was equally impressed by their natural beauty and their skills in the kitchen. 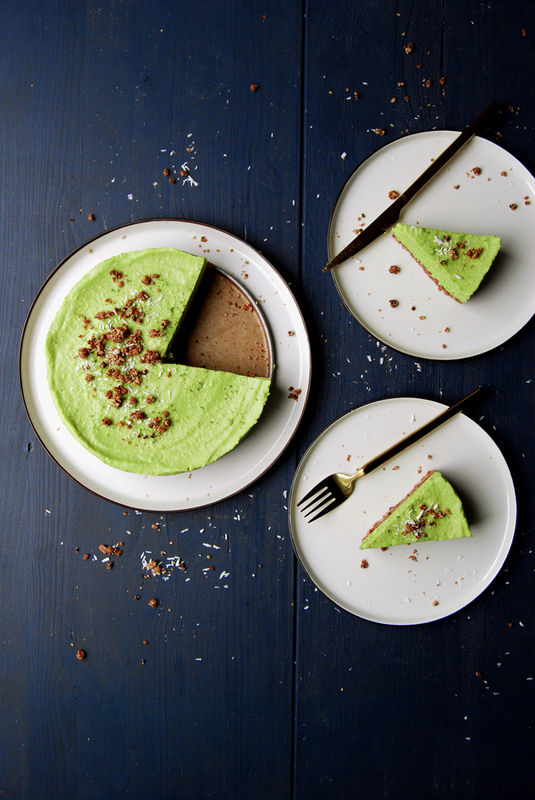 With infectious smiles and their experienced hands at the chopping block, they prepared one scrumptious treat after the other: smoothies, salads, courgetti with bolognese (the sisters’ famous zucchini spaghetti) and a divine raw avocado cheesecake dessert. I sat, listened and savoured! 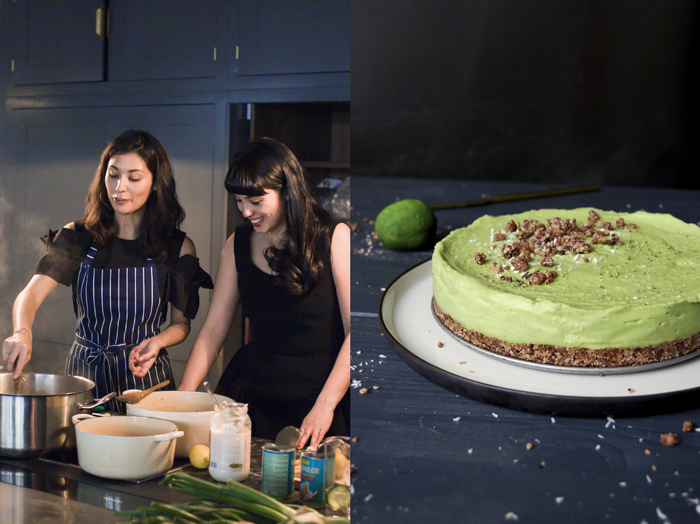 The Hemsley sisters started their careers in different fields before they took over the food world with their concept of no gluten, no grains and no sugar but with lots of taste and pleasure. While Jasmine worked as a model for over 15 years her younger sister Melissa traveled the world as a fashion consultant. Due to their busy lifestyles both women had a strong interest in a diet that would do their bodies good rather than stressing them even more. 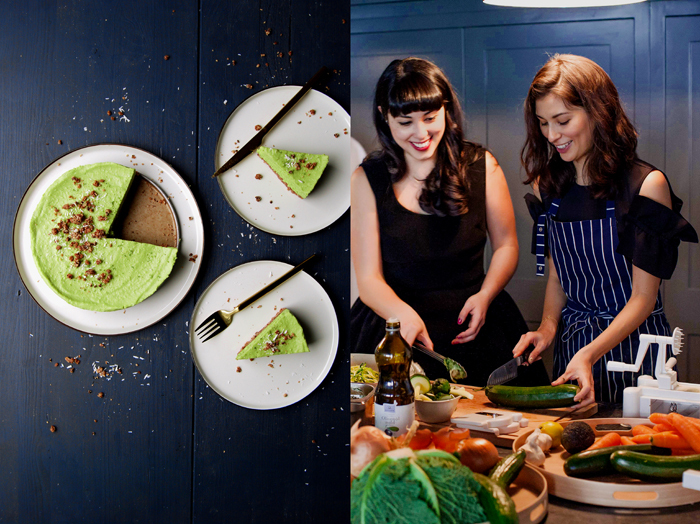 Their holistic concept convinced many food lovers, it started off with friends who asked for consultancy and cooking classes before the sister’s blog and family business Hemsley + Hemsley was born in 2010. As contributors for Vogue UK and The Guardian, the two recipe developers, cooks and food consultants also became responsible for the catering of several celebrities. Nothing could stop them anymore, their popularity grew rapidly. 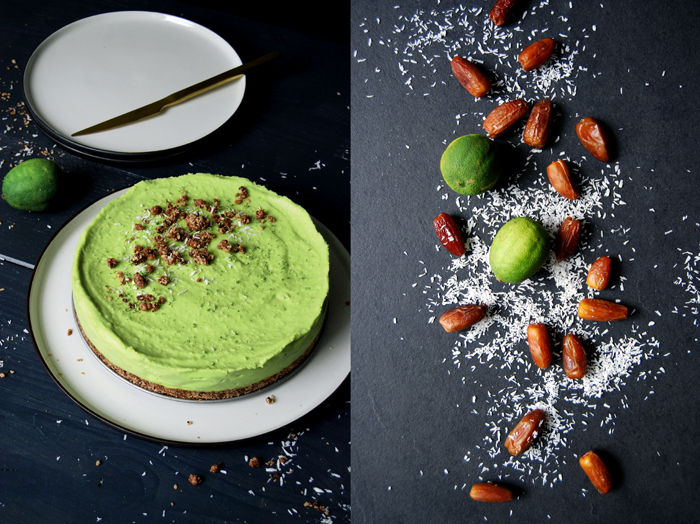 Their first cookbook, The Art of Eating Well published in fall 2014, is a bestseller packed with lots of inspiring recipes and we chose one of them to share with you: the addictive Avocado Lime Cheesecake, raw, vegan and unbelievably delicious! 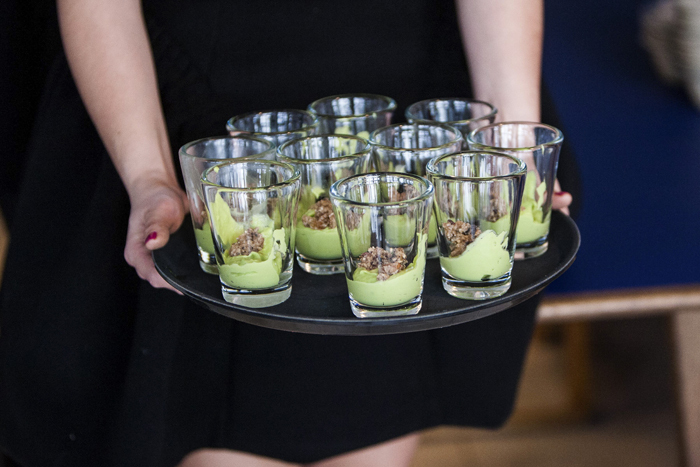 The pictures of the Hemsley sisters and the avocado dessert in glasses (served at Soho House Berlin) are by Nick Hopper. 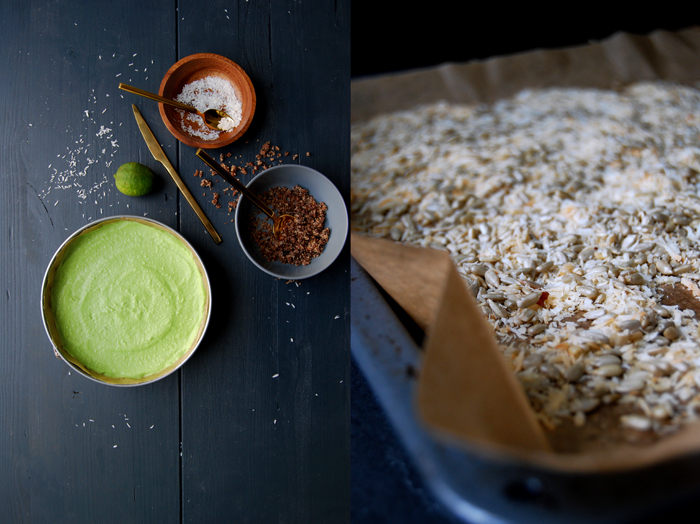 Place the pecans and desiccated coconut on a baking-tray lined with baking-paper. Place in the oven for seven to eight minutes, until toasted. Transfer the pecans to a food processor and add the rest of the base ingredients. Blend until the mixture is crumbly (don’t let it go completely smooth) and holds together when pinched. Line the base and sides of an 18cm (7″) ( mine was 20cm / 8″) round cake tin with baking-paper and tip in the base mixture. Press this down firmly and evenly with the back of a spoon, ensuring it is neat and flat where it meets the tin. Transfer the tin to the fridge while you prepare the filling. Place all of the ingredients for the filling into the food processor and blend until the mixture is completely smooth and silky. Check for taste – add more lime juice, zest or honey according to preference, but it’s best to keep this deliciously tangy. Remove the cake tin from the fridge and pour the filling over the base. Cover the tin, using a plate or cling film, and return it to the fridge for a few hours or overnight. To serve, run a knife between the tin and the cake and carefully push the base up from the bottom. Transfer to a plate and serve immediately. Before you started your family business Hemsley + Hemsley in 2010, you worked as a model and as a fashion/ brand manager. How did this transition into the food business come about? What moved you to make this step? Jasmine: Yes, I was working full-time as a model from the age of 19. 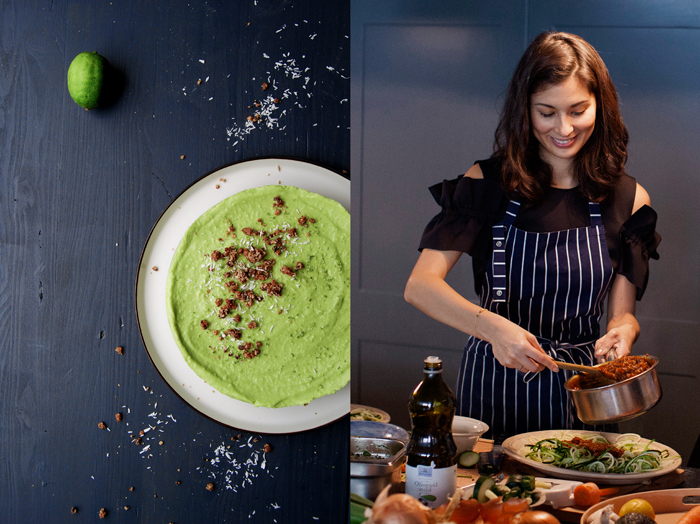 I was fascinated by the many different ideas surrounding health and nutrition, from paleo to low-fat, juice cleansing and many other ideologies, and began to develop and grow the Hemsley + Hemsley way of eating through research, study and self-practice whilst sharing tips and tricks with friends and family. 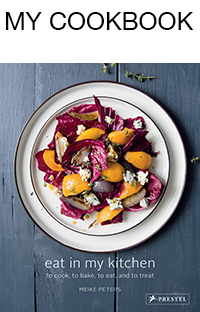 Mel, who worked as a footwear brand manager and later in marketing and promotion for gastropubs and bars, caught the cooking bug and helped spread the word. Melissa: We didn’t intentionally ‘launch’ the business – it came about organically. As people reached out to us for help with their digestion and relationship with food, we suddenly found ourselves working as wellness coaches and private chefs. Providing a bespoke service for these clients, we’d clear out their cupboards, fill up their fridges and freezers and show them how to cook our recipes. The results where so positive, they felt better – happier, healthier and more energized. Back then we didn’t have a name, so our clients called us their ‘food fairies’ and from the first week we had a waiting list as everybody recommended us to their friends, families and colleagues. You seem to complement each others strengths perfectly. What are the advantages of working so closely with your sister? What are your roles, how do you deal with disagreements between the two of you when it comes to your business? Jasmine: We always said it would be great to have a family business, making the food we all want to eat, food that keeps us happy and energised and be able to share it with everybody. The business has evolved naturally and we now work in areas that we love the most. When it comes to recipes, my sweet tooth means I usually mastermind the puddings and desserts, while Mel is the queen of knock-out curries and one pot dishes. My partner Nick is the third wheel to Hemsley + Hemsley – the man behind the scenes taking all the photos and running the back end of the business. Melissa: As with all small businesses, you have to roll up your sleeves and get involved. Luckily everyday is different at H+H – cooking, meetings, recipe developments, lots of room for creativity and also plenty of time to work alone and remotely from laptops so we aren’t on each others space the whole time. And when it comes back to just being family we find it remarkably easy to switch off! Who is your biggest inspiration in the kitchen? 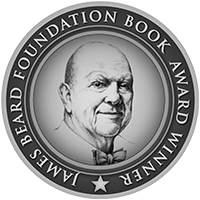 What are your culinary roots? Jasmine: We’ve both always loved good home-cooked food from early on thanks to our Filipina mum being wonderful and inspiring in the kitchen. She would make use of everything we had – definitely where our frugal streak comes from – and each meal was made with great care and attention. Melissa: Growing up, the more we tuned into how our bodies were really feeling, the more we realised the relationship between food and good health. Being the youngest I lucked out as mum and Jasmine used to do all the cooking and all I had to do was lay the table. As I got older I realised that it was so hard to eat nourishing foods without truly taking charge of it yourself. I realised that if I wanted to eat the same good food I’d have to start putting into practise what I’d absorbed over the years of being around mum, Jaz and all our aunties! You’re big fans of bone broth, how did this start and why does it have such an important role in your food concept? Bone broth will always be at the heart of our philosophy and intrinsic to everything we do. We love it because it’s a champion all rounder, packed with protein, vitamins, minerals, collagen and keratin – all the building blocks for healthy digestion and glowing skin. Easy to make, frugal and tasty, this ‘liquid gold’ is supremely versatile and a must in anyone’s recipe repertoire! Wellness begins from within and good digestion is key – bone broth is an easy to digest source of protein for very little money. At home, we always have broth on the go or a batch in the freezer. You can throw any leftovers in like shredded chicken, roast veggies, yesterday’s salad and swirl through some pesto or miso for a quick soup. We also use it to steam up some quinoa, as the base for sauces, soups, stews and to simply drink it warm from a mug. How did you develop your holistic food concept, did you work together with food/ health consultants or did you follow your own experiences? We’ve been developing and growing the Hemsley + Hemsley way of eating for almost ten years through research, study and self-practice. We really tuned in and focused on what made us feel good despite whatever was going on in the media about what you should and shouldn’t be eating. Our philosophy and nutritional ideals take you back to basics with a focus on provenance and digestion. People love our style of cooking and are always intrigued as to how food this tasty could possibly be good for you. How do you develop new recipes? We are constantly inspired by our travels when experiencing new cuisines as well as by our readers and client’s who often request Hemsley + Hemsley reworked versions of their favourite foods. Jasmine: My mum would make a big soup instead of a Sunday roast, using up all the leftovers from the fridge. I started off cooking one-pot dishes and they are still a Hemsley + Hemsley staple now – a lot of our recipes are simple, quick and frugal dishes which begin with a base of homemade bone broth and can be adapted and added to in order to make use of leftovers. Melissa: I remember making the perfect creamy scrambled eggs with my mum…lots of butter and a slow-cook. Jasmine: We’ve just discovered Sea Containers (Seamus Mullen) on the Southbank which is stunningly beautiful and the food is incredible with views of the Thames. While we’re over that way, we love Borough Market for fresh produce and The Ginger Pig for delicious, organic meat. Melissa: For eating out I love Brunswick House in Vauxhall, Elliots in Borough Market, Rochelle’s Canteen in Shoreditch (it’s hidden from the street in a converted school) and Paradise in Kensal Rise (where I used to work). 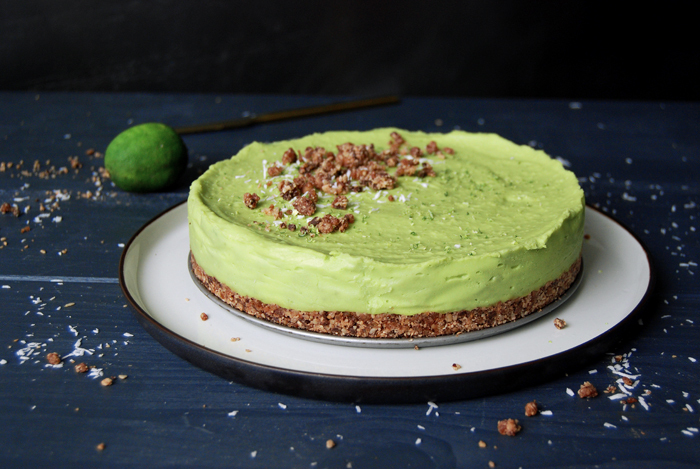 You shared your Avocado Lime Cheesecake recipe on eat in my kitchen, how did you develop this delicious vegan cheesecake? People always tell us that our recipes don’t taste healthy and we pride ourselves on coming up with upgraded versions of takeaways, comfort foods and the nostalgia-inducing dishes that our clients, friends, families and followers love best from their childhoods. 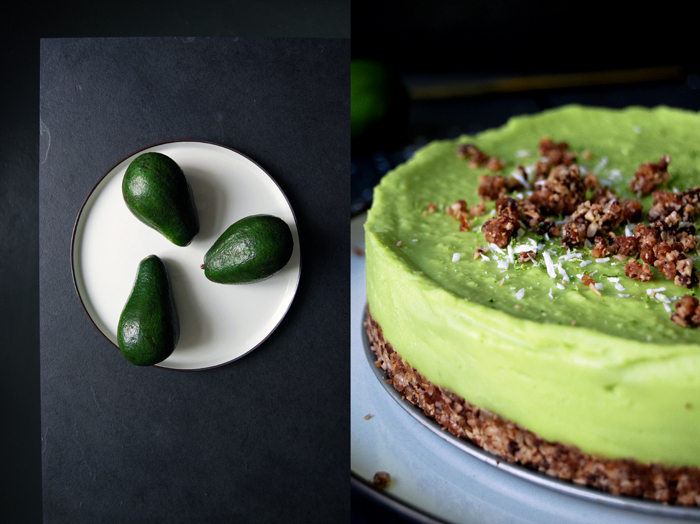 Keeping texture and flavour in mind, we made clever use of whole foods such as skin-boosting avocado and zesty lime to reinvent this classic and give it the Hemsley + Hemsley stamp of approval. 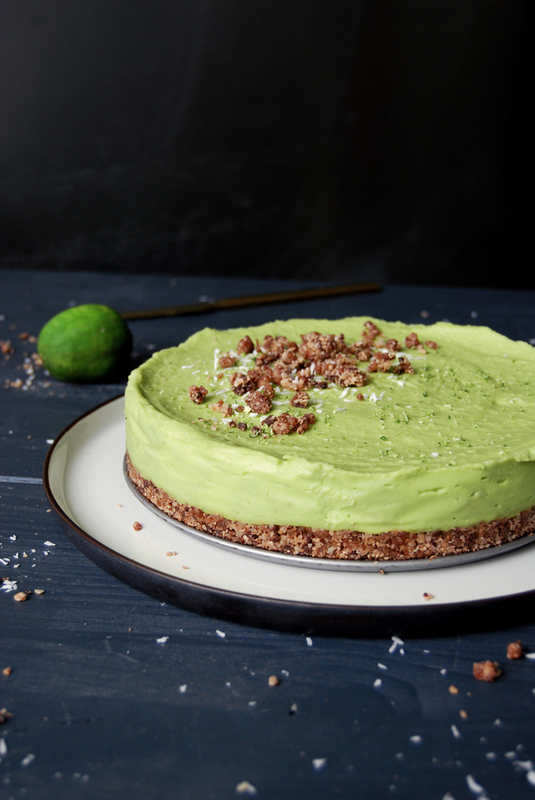 The Avocado Lime Cheesecake is a raw, New York-style cheesecake packed full of goodness. 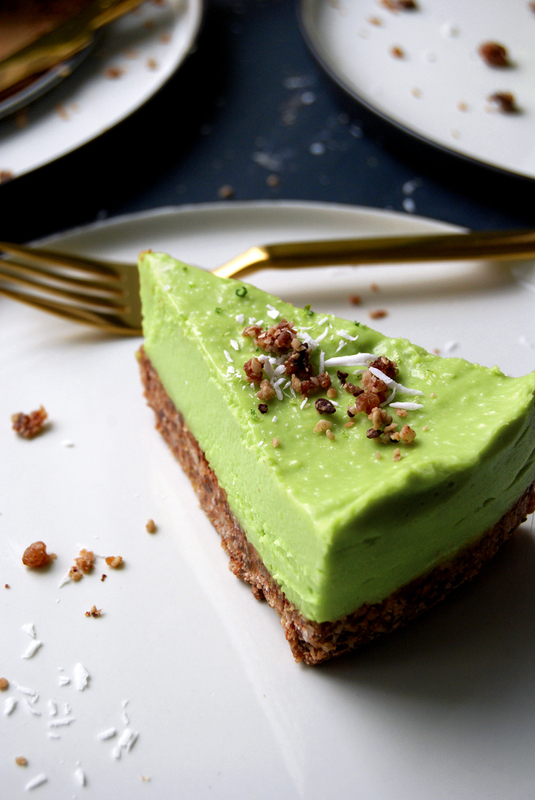 The smooth creamy lime sits atop a nutty, chocolate base with a hint of coconut. It’s tasty, filling and good for you! Jasmine: Keith Floyd, cooking up a Bouillabaisse in the South of France and enjoying it with plenty of wine in the sunshine. I bet it’d be an afternoon to remember! Melissa: Rather than have her cook for me, I’d want to cook for the legendary Madhur Jaffrey, probably something like our Chicken Curry and Cauliflower Rice so that she could critique it! Jasmine: I’ve always had a sweet tooth so it would have to be chocolate brownies. I almost cried the first day I made our Black Bean Brownies and they came out perfectly – fudgy, rich and delicious. They’re now one of our most popular sweet treats from our book The Art of Eating Well; and best of all, they’re free from any processed nasties! Melissa: Spaghetti Bolognese was one of my favourites growing up and it still is now, except we call it Beef Ragu with Courgetti. Made with the Hemsley Spiralizer, we enjoy the sauce atop a bed of spiralized courgette which we call courgetti and fill the sauce with extra grated carrot and courgette as well as highly nutritious chicken livers if we have any. It’s hearty, warming comfort food that’s perfect with a glass of red wine. Jasmine: I love to cook with family and friends, it’s always a great way to catch-up and I love seeing how other people do things in the kitchen. Melissa: I like to have the music on and cook by myself sometimes, as it’s one of the ways I love to unwind, just in the kitchen at home. Saying that, I also love getting together with friends over a glass of wine and have us all chopping away in the kitchen together. Jasmine: I’m the queen of leftovers so I love getting experimental – it’s a great way to discover new recipes and more often than not you’ll be pleasantly surprised with what you can rustle up. Melissa: The spontaneous ones that come out of leftovers in the fridge, they’re always the best! Jasmine: Lactose fermented herring – yes I tried to make fermented fish myself! It’s not something I will be repeating anytime soon, I think I’ll stick to sauerkraut, kimchi and other fermented veg to get my probiotic fix! Melissa: I can’t think of any one but have definitely recipe tested recipes before that ended up being really complicated so I wouldn’t bother with those again, no matter how tasty. We spend a lot of time experimenting while recipe developing to come up with meals that are simple, delicious and nutritious, so if it’s complicated, it doesn’t make the cut. Thank you Jasmine and Melissa!